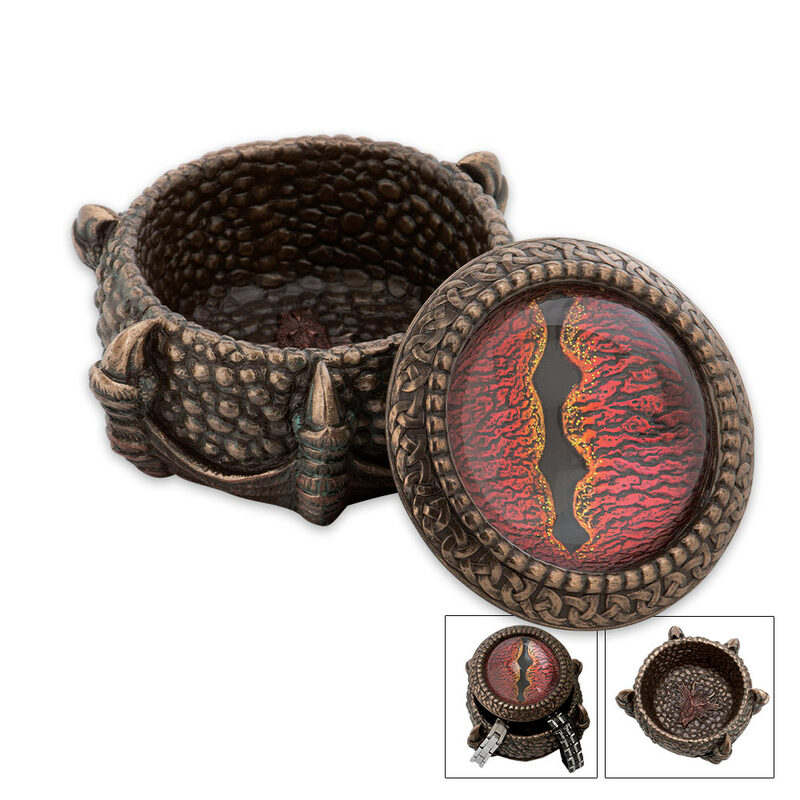 Dragon Claw Fantasy Trinket Box | BUDK.com - Knives & Swords At The Lowest Prices! If you're looking for a unique gift, this elegantly detailed trinket box is beyond compare. You won't believe the craftsmanship of this masterpiece cast in resin. 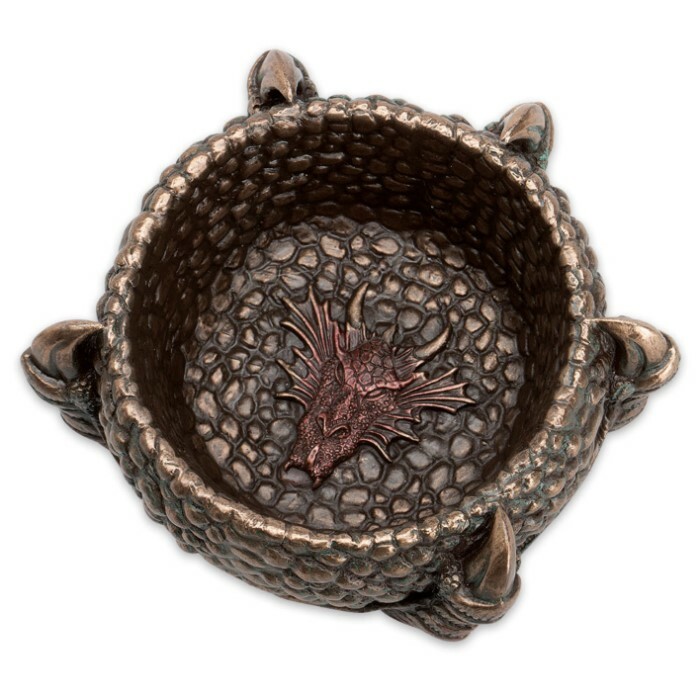 This dragon claw shaped box looks like it is cast from metal so that the only way you would know the difference would be to pick it up. Although, the weight of it would still leave you questioning. 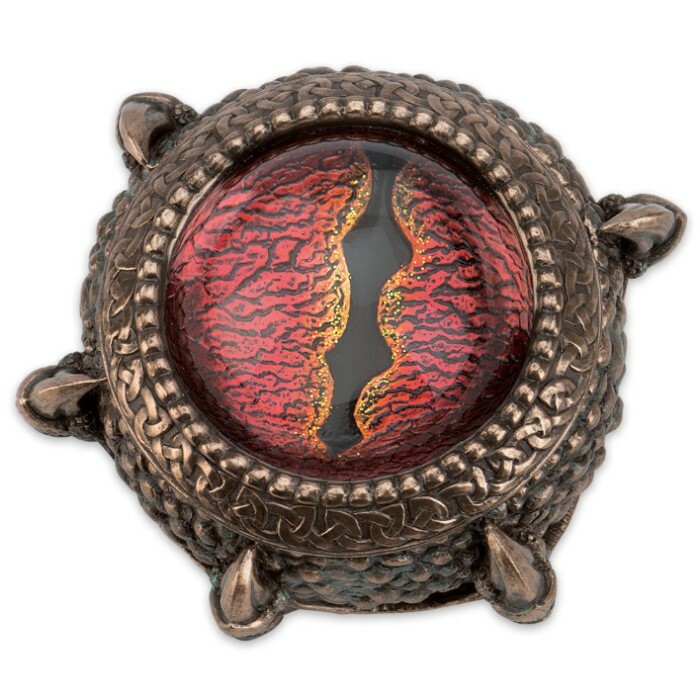 It features a raised glass orb embedded in the lid with a red dragon's eye peering forth.